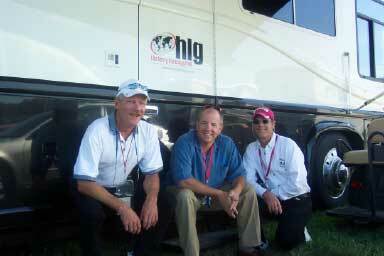 HLG was formed to help companies secure licenses and to consult with them on the distribution for those licenses. Our originating partners have over 40 years combined experience in licensing, distribution, and sales. We have owned manufacturing companies, secured sponsorship for professional sports teams, and have helped companies in their sales and marketing. This gives the group a very unique perspective on licensing. We know what the manufacturer is looking for and can afford, because at one point- in- time we were the manufacturer. Today HLG consults and negotiates license agreements for major Fortune 500 companies across the United States and abroad. We handle major food, toy, clothing, and sport companies for all areas of their licensing needs. Through licensing we are able to help companies achieve brand equality in today's growing marketplace. 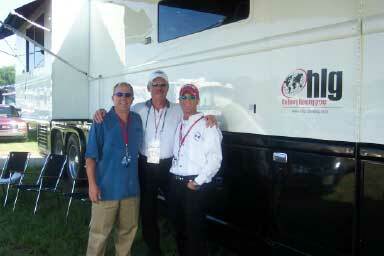 HLG works very closely with NASCAR and all the NASCAR teams. We also represent Marvel Comics in their motor sports program. We work with all the major film studios, the NFL, MLB, NBA and children’s licensors as well. Brand equity through licensing is becoming a major factor for growth and security for the future. Our commitment is to represent your company with the utmost in integrity, and to view your project as our own. We put a high value on relationships and we will always give you the utmost in service and satisfaction. We welcome you to take a closer look at our company and invite you to talk with our staff and our customers. 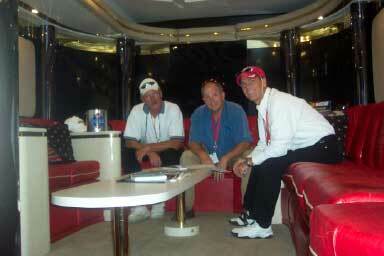 HLG customers enjoy the NASCAR races in true comfort-- courtesy of HLG's new 45 foot Newell motor coach. This state-of-the-art Newell has all the amenities, and is the perfect environment for taking a break from the days fast-paced activities. 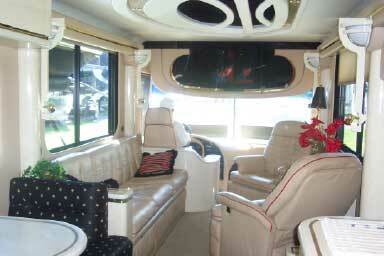 Click the images below to see the HLG motor coach in greater detail, and we look forward to seeing you on board!